Behind the Scenes of HGTV's "Love It or List It"
I have spies everywhere. One of them wrote me from North Carolina last fall, reporting, “Love It or List It is currently shooting at a house around the corner from me!” That was big news because the show had never filmed outside Canada before. I drove by yesterday on my way home and saw all the trucks, cars, etc., and thought there was either a party going on somewhere on the street and that maybe the house in question was being (heavily) renovated. Drove by tonight and saw equipment that looked suspiciously like a TV or film production, so I asked. They at first wouldn’t tell me until I said, ‘Well, shoot! My house needs an overhaul and I’m on the fence, and they piped up and told me which show it was. I’ll make a note to regularly walk one of the dogs down the street, and will definitely see if I can get any scoop from the homeowners. This is why I love my readers so much. She not only kept me posted on the LIOLI activity in her neighborhood but contacted her neighbor and asked her to share what it was like being on the show with us. After ditching suburban space to join his wife Marci in her charming but tiny home, Matt quickly began feeling buried. 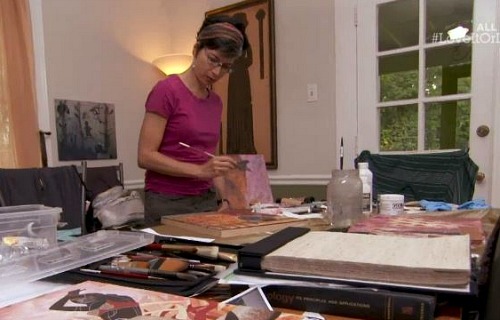 Realtor David will work to find them a home that combines the space Matt needs to breathe with the charm artist Marci is so inspired by. Meanwhile, designer Hilary will prove the true potential of their house by redesigning and expanding many of its highly debated spaces. 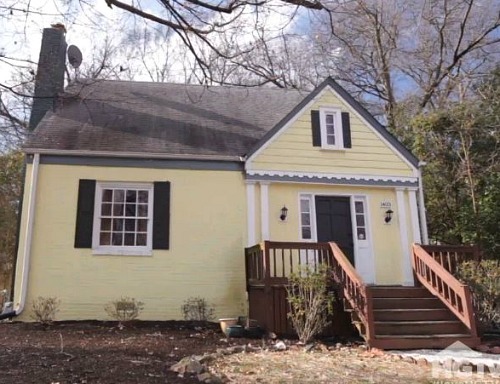 Their yellow cottage was cute and charming but pretty tight on space, especially since Marci is an artist who needs room for both her studio and yoga classes she teaches. I asked Marci some questions about the experience, and she graciously agreed to tell us what she could, although she is bound by a confidentiality agreement not to reveal certain details. My husband, Matt, and I were lucky enough to get on the show when it came to the Triangle to film their first season outside of Canada. We had actually been working with a designer for six months prior to figure out if building an addition onto our house, as well as renovating other parts, was a good idea to help solve our issue with lack of space. However, after receiving bids from a series of general contractors to do the work, we came to realize our budget wasn’t going to support the amount of changes we wanted to make to the house. Having already pared back our plans as far as we felt comfortable doing, we were at a real crossroads about what, if anything, to do next. It was right about that time when I saw an email on our listserv passing on a message about a HGTV show seeking homeowners who might be interested in being on their show. Sure enough, when I followed up on it, it was “Love It or List It,” a show we were familiar with and loved. As probably many viewers have done, Matt and I had joked with each other that we would be perfect for the show, as we were a couple truly on the fence about whether or not we had the budget to make our house into something we could both love or if it would be better to list it (with or without renovations). Presented with this fortuitous situation, we decided to apply for the show and later found out that we were chosen to be on the first season stateside. However, another consideration for doing the work on the house, we wanted the work to be able to qualify for a historic tax credit. Fortunately, the production team was willing to be flexible with us to help keep our renovation within the tax credit parameters. 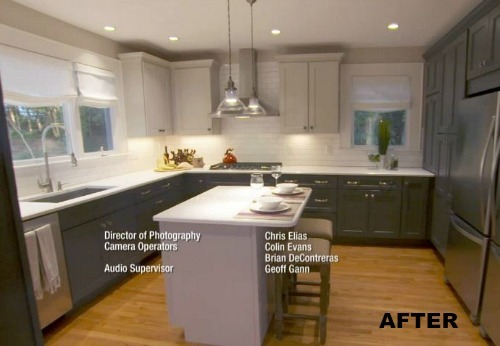 Our renovation took roughly 7 weeks to complete, though we believe some of the renovations done on the show are completed in even a shorter window. We had further good fortune when some friends of ours offered to put us up for the duration of the renovation, as it is a requirement that you move out of the house while work is being done. 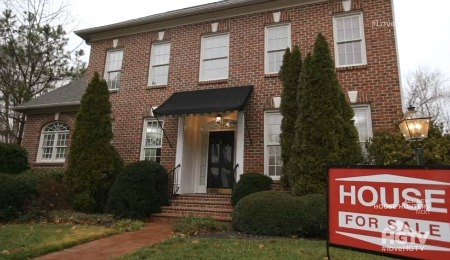 As depicted on the show, the only time we got to see our house after the work began was for the “homeowner visits” filmed with Hilary. Meeting David and Hilary was a thrill and they have every bit of that back and forth repartee as you would expect having watched the show. They were truly both quite fun to work with. In fact, the entire crew was really nice and it was a happy coincidence that many of them were also cat lovers…since part of our episode had to do with maintaining a good space for our two cats to sleep overnight! The “final reveal” was indeed a total surprise for us, as we didn’t know what the finished project would look like until the time of the reveal. So, it was good to learn that when you watch the show, no one is faking their reactions when they see the final product! I talked to her again after the episode aired and she says they’re planning to put it on the market sometime this year after they have the upstairs bathroom renovated, too. You can watch their episode (Season 11, Ep 5, “Charming Cat-astrophe”) online at HGTV.com if you missed it, as long as you get the station on cable (they make you sign in). 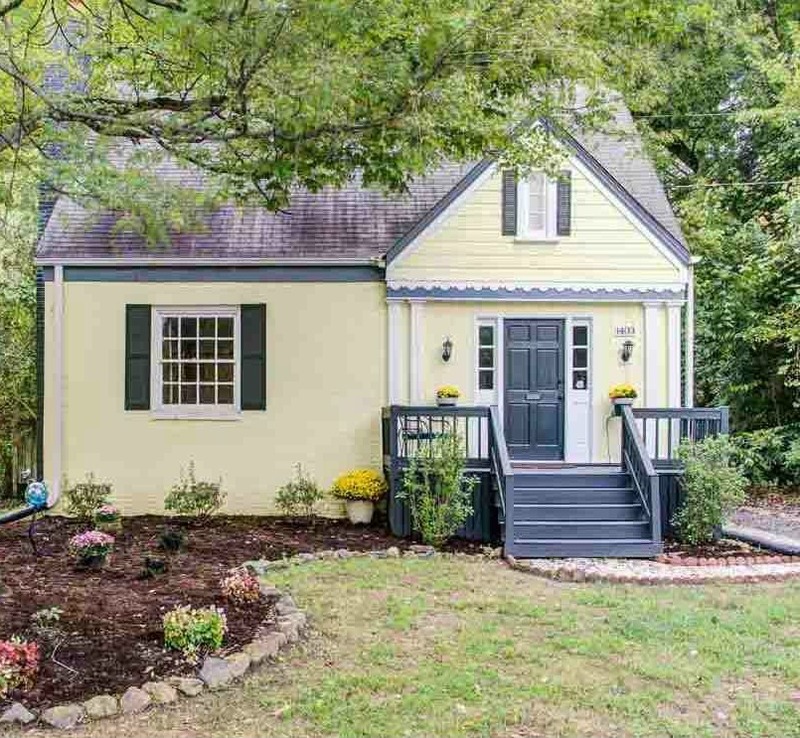 Their yellow bungalow is on the market now — see the listing photos here. HGTV Behind the Scenes: Chip & Joanna on "Fixer Upper"
Thanks for the information Julia! I’m on the fence about the show:) I enjoy Hilary, and think David is probably nicer than he comes across – but sometimes I’m embarrassed for the couple on the show – showing their home at its worst and sometimes themselves at their worst. One thing I have been wondering – does the homeowner get to have some input into the renovation? For example – Does Hilary get some input from the home owner as to what style of cabinets, countertops and other surfaces would go into a new kitchen? Looks like this post lost all the other comments when my blog migrated to its new server last night. My apologies! What a fun read, Julia. It’s good to hear what really happens on these shows. You definitely have some awesome spies out there. Gosh, there is just NO WAY I would let someone renovate my house without approving the plans first! 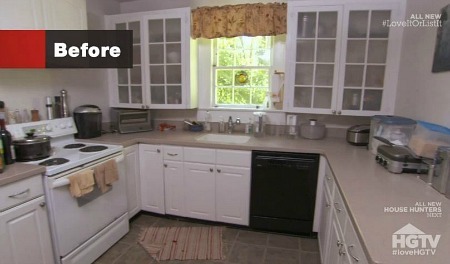 I didn’t realize that was a true aspect of the show and it demonstrates that the homeowners really are desperate to make changes. But even if she were a regular general contractor I wouldn’t hire Hilary to remodel a bedroom closet—-she seems to feel completely superior to the homeowners and is always so sure she knows what they want and need better than they do themselves!